Description: Jake Sullivan is a licensed Private Eye—with a seriously hardboiled attitude. He also possesses raw magical talent and the ability to make objects in his vicinity light as a feather or as heavy as depleted uranium, all with a magical thought. It’s no wonder the G-men turn to Jake when they need someone to go after a suspected killer who’s been knocking off banks in a magic-enhanced crime spree. 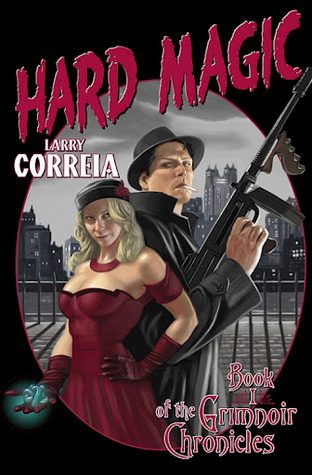 Problems arise when Jake discovers the bad girl behind the robberies is an old friend, and he happens to know her magic is just as powerful as his, and the Feds have plunged Jake into a secret battle between powerful cartels of magic-users–a cartel whose ruthless leaders have decided that Jake is far too dangerous to live. . . .
Review: I listened to this one after the supremely narrated Ready Player One read by Wil Wheaton. (Amazing job. If you haven’t read or listened, go get it. Now. This review will still be here.) It colored my perception while listening . . . I don’t actually think there is anyone on the planet better at accents than Bronson Pinchot. But, sometimes the excellence of the accents makes it harder to understand the dialog. In other words, this is the one that made me wish for audio books with subtitles. That being said, you always know who is speaking and it sounds just almost like a dramatization. It is *that* good. As is typical with a first book in a series, this one starts off a bit slowly. We get introduced to each of the main characters piece by piece, with absolutely no idea how (or even really *if*) they will all come together. 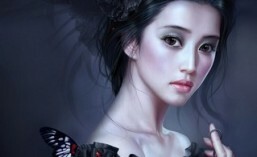 Each one is interesting in his/her own right and the magic system created is fascinating. We have travelers, fades, heavies, healers, mouths – and others I am completely unable to recall. Their gifts are all different and the world is working on jailing or isolating or whatever it is we do with people when we are scared they might have it a bit easier than we do. Hence, poor Faye has been sold by her family and Jake is actually in jail. The story itself takes place between the World Wars. The first 2. In the 1930s. The Japanese are the really bad guys here – the Germans have basically lost. So, we are rounding up all the ‘actives’ to work together to stop the Imperium. One of my favorite things about this book is that the good guys are good – not perfect, but good – and the bad guys are bad. There are a couple characters that cause you to scratch your head and wonder in which camp they fall, but overall black and white. As is with most steampunk type books, there is a bit of history retelling going on here. We revisit historical characters and give them a little bit more personality and a little bit different character. Among them are people like Pershing and Browning (I mean, after all, Correia could be described as a little bit fascinated with guns . . .) and even Hitler. Ok, Hitler isn’t really re-imagined – just how he got there. I don’t typically enjoy those type things, but they worked for me here. The characters were fun and interesting and the personalities added a little bit to the actual history. I really enjoyed this series. The characters are well drawn and the magic system is well thought out. Yes, there are some whose powers completely overshadow others, but ultimately, the good guys are still over powered by the bad guys. It is also interesting how they use things like the ability to travel along with an animal to their advantage. Bronson Pinchot is amazing as a narrator. I give this book 4 stars. Description: Most people avoid the dreaded Whitechapel district. For Honoria Todd, it’s the last safe haven. But at what price? 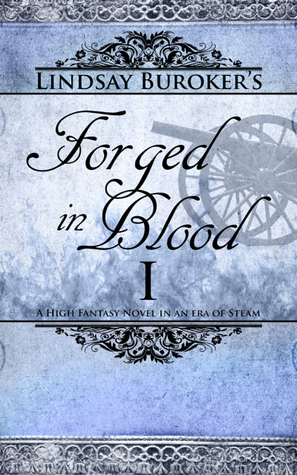 Review: This was a fun paranormal steampunk adventure. While not overly deep it had a really solid plot and interesting characters. Review:As the first book in the series, it was a nice start toward world building. I thought it featured an interesting take of vampire/were lore. The author did a really good job of setting up of the nature of this world without allowing the plot to be distracted by monkey-button details. I would have liked her to have gone deeper, but I suspect more will unfold through the rest of the series. I found both of the lead characters to be engaging. Honor was a good blend of strength and vulnerability and I do so enjoy a flawed hero, such as Blade. McMaster also cast some interesting secondary characters. It will be interesting to see how they develop, especially within the context of the political intrigue set in motion. I really like the cover. While it is not quite in the context of the story (Honor would never show that much leg out on the foggy docks), it is sassy and eye-catching. It does capture the dashing tone of the book well. The color scheme is nicely done, hinting well at the vampiric nature of the hero. What this book lacked in depth I think it made up for in entertainment value. It left me wanting more, but in a good way. 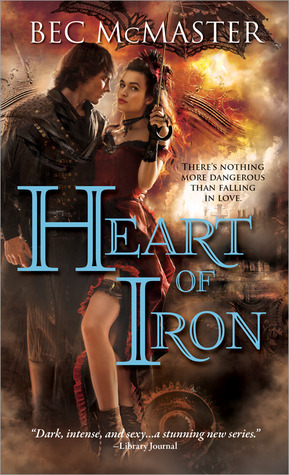 ReviesHeart of Iron is the second book in the London Steampunk series. 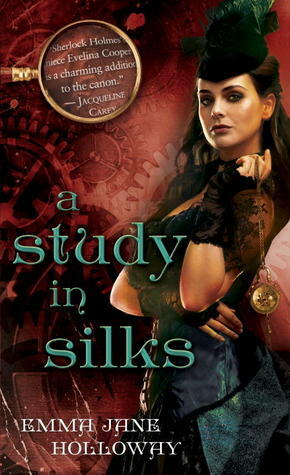 This book features an all-new tale of intrigue in the paranormal steampunk world created by Bec McMaster. While this book had enough adventure to satisfy me, I would say it leans heavily toward the paranormal romance category. This book revolves around Lena, sister to Honoria the primary character from the first book, and Will, right hand man to Blade, the Devil of Whitehall and Honoria’s husband. Lena finds herself involved in a dangerous plot and Will is determined to keep her safe, even from himself. Suspense and romantic tension ensue. Lena is a bit of a prissy character, but with a core of strength within her, making her a good match for Will’s tortured and savage verwulfen soul. On the romance side, McMaster does a great job of creating that heart-wrenching passion between her romantic leads. The intense chemistry between Lena and Will was smoking hot. This is not what usually draws me into a book, but I don’t romance when it is well-written, as it was in this case. The adventure, on the other hand, IS what draws me into a story. I won’t lie, I wish there had been more action in this book, but that is because the author does a fantastic job with it. For a book that is mostly focused on romance, I was delighted with the tangled web of subplots created by McMaster, building the intrigue throughout the story. The action scenes enhance the pace of the book. It is THIS aspect of the series that has drawn me in, and will likely keep me reading. I also enjoyed McMaster’s nod to Jane Austen, highlighting the limited options for women in society, albeit, ever so slightly different than those posed by Ms. Austen. This goes along with the setting of the time period, and yet the author plays it out in a way suited for a steampunk world. I consumed this book as a combination of audio book and ebook, using Whispersync for Kindle/Audible for the first time. I had originally purchased the book for my Kindle, but thought that the audio book would make the accents come alive. The narrator did a great job of capturing the prissy tone of Lena, but alas, she fell short when it came to Will and Blade. This was disappointing for me. As for the cover, I found it to be less striking than the other covers in the series. Maybe there is just too much going on and the characters don’t pop out. Also, the female character on the cover looks so aloof, like she is bored by the situation and the man holding her. It is not an awful cover, but certainly not one that draws my eye. I also don’t understand why the audio book has a different cover which looks like it is trying to capture the same feel as the book cover. Regardless of the covers and audio book productions, I am really enjoying this series by Bec McMaster. I look forward to the next book of this series and future works from her.